Every great city has writers who seek to capture something about the place they consider the center of the universe. There are many, many great New York novels, and if Colum McCann’s Let The Great World Spin makes you curious about others, here’s a link to a wonderful 1995 list of the best books — fiction and non-fiction — about New York from Sam Roberts of The New York Times. Many writers have tried to tackle the New York landscape post 9/11, as well. This 2007 article by Pankaj Mishra from The Guardian identifies some of the important 9/11 literature from American and British writers. 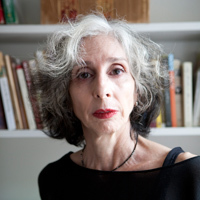 “Deborah Eisenberg is a writer of short fiction whose works present an unusually distinctive portrait of contemporary American life. Her exquisitely distilled stories often depict men and women coming to terms with their personal relationships and grappling with the changing social context in which those relationships occur. Through her deft use of dialogue and point of view, she captures subtle shifts in consciousness and makes observations that readers recognize as both true and strikingly original. The hallmarks of Eisenberg’s style — crystalline prose, keen perceptions of emotional nuance, and wry wit — are all evident in Twilight of the Superheroes (2006), the most recent of her four short story collections. In the title story, a meditation on the terrorist attacks of September 11 and their aftermath, a group of young, post-collegiate friends witnesses the attacks from their sublet loft in downtown New York City. 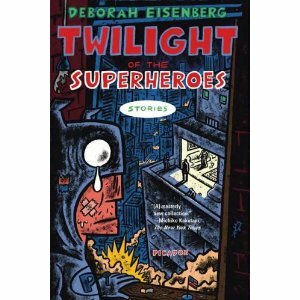 Crafting each sentence to deepen readers’ understanding of her characters, Eisenberg juxtaposes the disaster’s lasting impact on the individuals against the ordinariness and routines of daily life, such as working at a job and coping with one’s family. In this story and throughout the entire collection, she reveals common yet often unnoticed facets of human experience with skill, sensitivity, and precision. Devoted to the short story form, Eisenberg continues to produce elegant explorations of the human psyche in tales of increasing complexity, fluency, and moral depth. This entry was posted on Friday, June 4th, 2010 at 5:45 pm. It is filed under Carrie Brown, Summer 2010 Books. You can follow any responses to this entry through the RSS 2.0 feed.